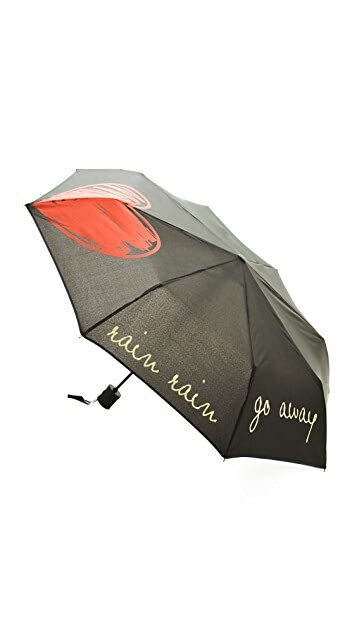 'Rain Rain Go Away' lettering surrounds this Felix Rey umbrella, accented with a scribbled heart graphic. 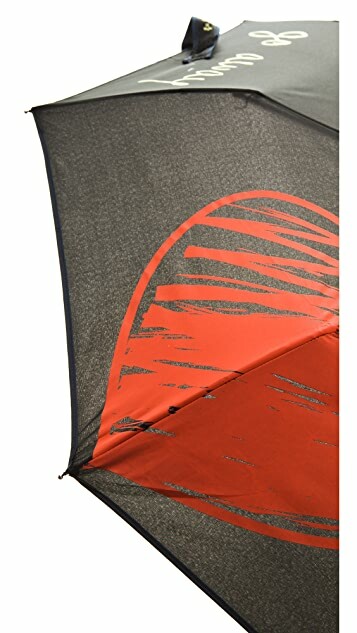 The soft handle has a push-to-open button, making opening and folding a breeze. Matching sleeve included. 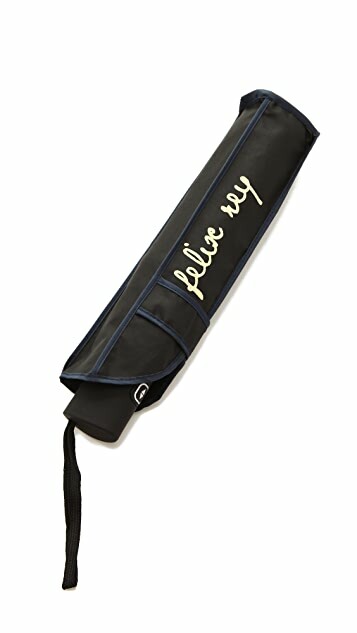 It is very fashionable & chic! Thought this looked bigger in picture,handbag size that extends,alot of money for not much! !